Campaign Complete. This project has ended on September 13, 2017. No more contributions can be made. All funds will be collected by September 13, 2017. The Plastic Tide is tackling the critical problem of ocean plastics with a solution which combines science, technology, citizen action and visual media (film). This project will help us to build a vision from the skies of the plastics problem. Thank you for your support, we will send you updates on the project. Thank you postcard from the beaches we go to, as part of the project we will be testing the machine learning all over the UK. We will send you a postcard while we are on the road. Bronze sponsor - All sponsors will be invited to an exclusive preview of the film, please contact us if you would like us to display your logo and mention you in publicity around the project. It is a tide that never recedes. Day by day, year on year it grows. Estimates are currently at trillions of pieces and counting, with over 60% of the oceans being heavily contaminated with plastics. With each piece of plastic taking over 400 years to degrade, our oceans, all marine life, and even our own health and livelihoods are in real danger of drowning. What is happening to our oceans? We all know plastics are awful -there are lots of charities and initiatives raising awareness of this. 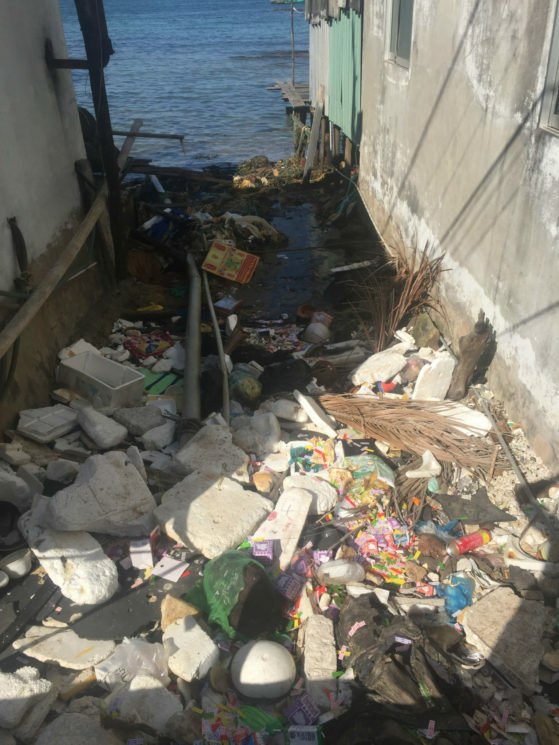 The focus of The Plastic Tide project is on a very specific and vital aspect of the plastics pollution problem – determining where the plastics end up. This project is tackling this critical problem with a solution which combines science, technology, citizen action and visual media (film). Our project is tackling this critical problem with a solution which combines science, technology, citizen action and visual media (film). So what’s this project about? The Plastic Tide will harness the power of drone technology in an innovative and revolutionary way; surveying beaches in a series of beach cleans, using Machine Learning Algorithms (MLAs) to remotely detect plastic build-up on beaches across the UK, with numerous and multi-disciplinary applications. The scientific data to support the completion of these objectives will be collected as part of a UK wide series of Beach Cleans in Spring 2017. The Beach Cleans are also designed to engage people and communities in Ocean Guardianship, and to raise awareness of the menacing tide directly through action. Understanding the impacts of plastics in terms of both environmental and human costs. Action through getting people on to beaches, engaging and educating via the clean-ups. Engage people with scientific research, both on the beach and at home/school and beyond. Enable individuals and communities to self-manage these surveys and upload results to build a truly global picture of these issues for use across multiple platforms. This is an example of an at risk area or severe ocean plastic pollution. This is a regular site in Pho Quoc, Vietnam where plastic use is ubiquitous as is its presence in the sea and on beaches. This project will start in the UK, but eventually we want to use drones to identify plastic that needs to be collected all over the world and supply businesses who can upcycle the collections. The technology will be made open-source i.e. 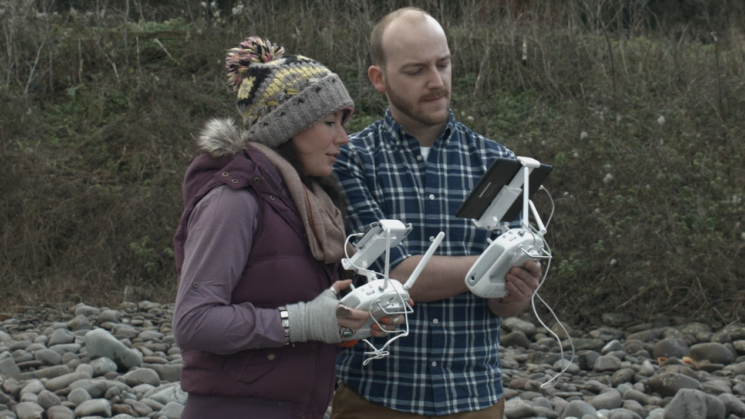 publicly available – this means that eventually, anyone with a suitable drone can download the software and carry out their own plastics surveys, around the world, and upload their data to the shared global database. Researchers will be able to use these large-scale datasets to develop robust and reliable evidence of plastics pollution around global coastlines, rivers, waterways, and remote or inaccessible locations. The technology has the potential to be used in open ocean. This means it could be used to track ocean plastics over a wider journey, monitoring movement over a longer distance, and identifying trends in origin and type of surface plastics. This could lead to developing international policy on plastics pollution regulations. The Plastic Tide is highly suitable as a Citizen Science initiative, whereby schools, universities and local environmental groups can participate and contribute to the research outcomes. This has impact on improving social responsibility, and develops a positive and accessible public perception of scientific research. The plastics data has applications for a wide range of scientific research, from beach pollution studies, animal toxicity research, biodegradation studies, recycling assessment, chemical analysis, to studies into social wellbeing of environmentalism and consumer psychology. Each survey is tied in with a local Beach Clean-Up, where volunteers are encouraged to join the research team and clean up the plastics following the aerial survey. This directly improves the health of the beach, from aesthetic, wildlife and human angles, as well as creating a sense of action and community among local public. A larger project is planned for 2018, to survey the entire West African coastline over a year-long project. A feature documentary and collaboration with multiple local and international partners has the potential to expand The Plastic Tide to global scale. How much funding do you need to get started? The Plastic Tide has been carefully and painstakingly costed, to deduce the most effective and economical budget. Currently, the entire project will be completed for less than £50,000 – an astonishing feat considering the impact of the work being carried out, and the extent of the operation logistics. This is due to the hard work and dedication of the core team, who are currently volunteering their time to help get the project off the ground. 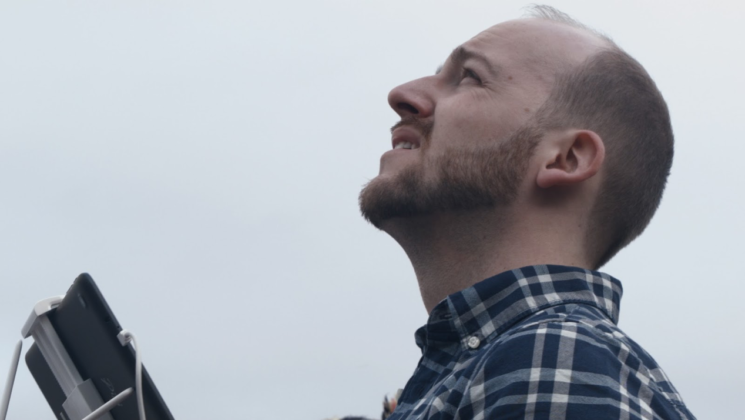 Production of a Promo Film introducing The Plastic Tide, to raise further funds and awareness for participation and engagement with the project. Inclusive of all production costs, kit and equipment, production team, logistics, editing and all post-production, and distribution through multiple platforms. Production of a Documentary Short Film, telling the captivating story of the Spring 2017 UK Plastic Tide Project, following its successes, problems, events and stories along the way. 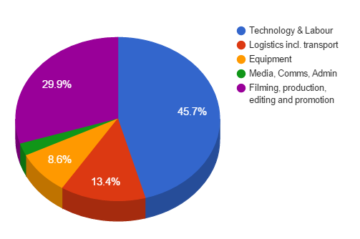 Inclusive of all production costs, kit and equipment, production team costs, logistics, editing and all post-production, and distribution through multiple platforms. Additional short video and audio pieces to maintain audience engagement throughout the Spring 2017 Project and build anticipation and followers for the release of the Documentary Short. Inclusive of all production costs, kit and equipment, editing and post-production, and daily social media management and web release. It is anticipated that the Documentary Short can be used to help raise awareness and sponsorship for the next phase of The Plastic Tide, which aims to expand to a full continental coastal survey in 2018. We hope to gain funding through donations and pledges as well as relevant and associated sponsorship. The remaining £30k of the funding will cover the entire project deployment – all logistics, transport, technology, communications and data processing for the duration of the collection and analysis of the data. So why back this project? Firstly, The Plastic Tide uses newly developed technology (the specially-designed MLA) which has almost limitless applications across multiple disciplines. Promoting and raising awareness of this technology will aid scientific and technological advancement for a wide range of future projects. By backing this work you will be increasing visibility of the technology. This will have a positive impact on public awareness, acceptance of and support for these future initiatives as well as continued use for The Plastic Tide. Secondly, a film of this project brings it to a much wider audience than could be reached through scientific research channels alone. The film can enter cinemas, classrooms and theatres around the world. If the plastics problem is brought into the spotlight at Film Festivals and within the creative industry, as well as in educational settings of all backgrounds, more people will spread the word and drive social change to combat plastics pollution. There is extensive research demonstrating that video content hugely increases impact on public consumers when used in marketing on websites, social media and the media industry. We believe a film that tells the story of The Plastic Tide will engage a new, extensive, and motivated audience with this highly specialised and futuristic approach to a traditional conservation issue. Thirdly, a film of The Plastic Tide will also champion the everyday heroes who volunteer on the project, and showcase the normal people who very easily make a positive difference – thus encouraging viewers to realise that anyone can become a guardian of the ocean by doing their bit, either through behavioural change, direct volunteering, or raising awareness. This breaks down the elitism often associated with scientific research, and brings the future of the story into the very public realm, through advocating citizen-science data gathering, multi-industry collaboration and open-source sharing. Finally, there are many documentaries showing the vast and wondrous beauty of the oceans – films which are vital to fuelling our love of the oceans and desire to keep them safe. There are also films which explore some of the damage that mankind has wrought on our seas – these films instill a sense of guilt, anger or sadness and many motivate change. Our film, which will tell the story of The Plastic Tide, will bridge the gap between these two genres by highlighting the immense wonder of the oceans in stunning 4K, whilst also providing a hopeful and solution-driven outlook through a future-forward, unusual, intriguing and very real story. 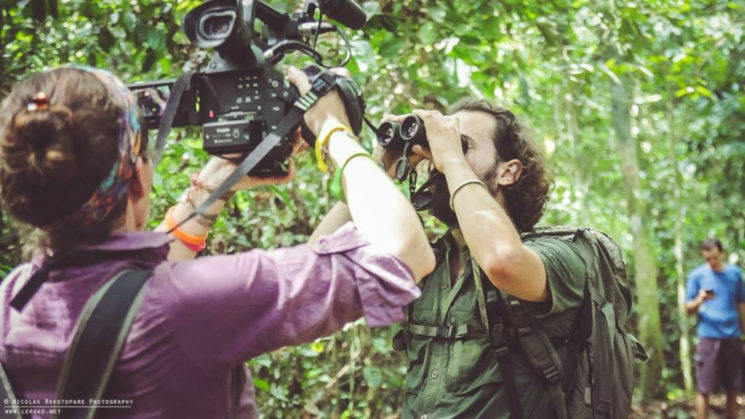 As a conservation filmmaker I have seen the power of unconventional storytelling – bringing the viewers on a compelling journey through unbiased, honest and very real documentary allows them to participate more actively, and more individually, with the content. This leads to more lasting personal impact and behavioural change, as well as more genuine advocacy and promotion. I believe passionately in sharing these untold stories, with respect, scientific rigour and integrity. The Plastic Tide represents a great example of conservation optimism, and I believe we need to champion and advertise these stories as much as possible, now more than ever. The outcomes of The Plastic Tide project itself are numerous and listed earlier. Furthermore, the results of the key deliverable for which funding is currently being sought – the film – are also potentially extensive, as discussed above. Films which successfully engage and educate an audience to stimulate positive social change are often immeasurable in their impact, and undeniably crucial for lasting and meaningful results seen etched in communities and policies across the UK, and even further afield. Pete has been working every spare minute for the past year to get The Plastic Tide off the ground. It has been his dream for many years to try to stem the rising tide of plastics in our oceans, but there has never been enough data on plastic distribution to come up with a scientifically robust solution. Through Pete’s experience in GIS mapping and his background in geography and data visualisation, he developed the idea of a different approach. Combining newly developed, hi-tech surveying software, 4K filming and citizen action, the idea of The Plastic Tide was born. The project is unprecedented in its scale, with the initial survey event taking us on a stunning 3,200 mile journey around the UK coastline. Pete is dedicated to raising as much awareness as possible about The Plastic Tide, and his desire to produce a film of the journey is born out of his love of conservation and adventure documentary and a determination to ignite positive social change. Pete is a passionate geographer and explorer, and his other interests include, sailing, philosophy and anthropology. Ellie is an award-winning filmmaker specialising in documentary storytelling. Her first feature film, Fragmented, has been awarded 40 Official Selections, 20 Nominations and 10 Wins at International Film Festivals, including Best Female Filmmaker in Barcelona, Best Educational Film in Alaska, Best Director in Toronto and New York, and Best Editor, Best Cinematographer, Best Nature/Wildlife Film and Best Feature Documentary in LA, among others. Fragmented was written, directed, filmed and edited by Ellie for her MSc in Science Communication at Imperial College London and confirmed her desire to dedicate her energy as a filmmaker to promoting unique and worthy conservation initiatives. Ellie is passionate about conservation, education and ocean science, a champion of citizen science and an honest, inclusive and egalitarian science communicator. With this project, she aims to shine a light on the unfolding optimistic story of The Plastic Tide through observational and adventurous documentary filming. Ellie is a Fellow and Ambassador of the RGS, has a background in Natural Sciences and Oceanography, and her other interests include Geology, Diving, Cartography, Travel and Adventure. Ellie will be joined by a talented and dedicated team, who will work tirelessly to produce a compelling, engaging and high-production-value film for promotion and marketing across multiple platforms. All members of the production team have personal and emotional ties to the ocean, through travel, sailing, surfing or diving, and are committed to creating a highly marketable and appealing film for all, to combat the devastating plastic pollution they have all witnessed.